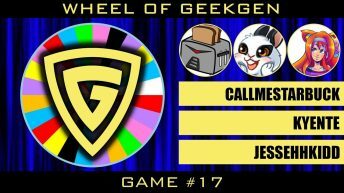 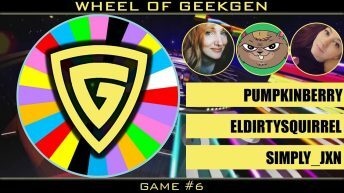 Contestants CallMeStarbuck, Kyente, and JessehhKidd compete for victory on Wheel of GeekGen. 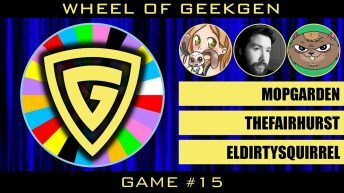 Contestants Mopgarden, TheFairhurst, and Eldirtysquirrel compete for victory on Wheel of GeekGen. Contestants Mirggles, Glitchsythe, and BlackpyreTV compete for victory on Wheel of GeekGen. 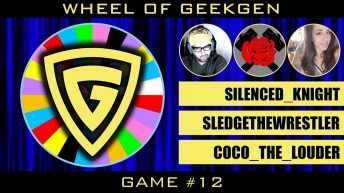 Contestants Silenced_Knight, SledgeTheWrestler, and Coco_the_Louder compete for victory on Wheel of GeekGen. 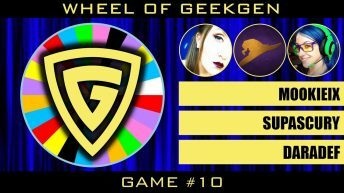 Contestants MookieIX, Supascury, and daradef compete for victory on Wheel of GeekGen. Contestants TransientGamers, AggyTheSalty, and Biggg_T compete for victory on Wheel of GeekGen.